Having ability to use two SIM cards on an iDevice is quite handy when you want to develop a barrier between personal and professional life, or when you’re traveling. This article tells you how to utilize dual SIM on iPhone with a Bluetooth card adapter that easily fits inside a wallet or jean pocket. Two SIM cards usage is a blessing in disguise. However, iPhone doesn’t have space for inserting more than one SIM card unlike many Android smartphones, so using two SIMs requires an iPhone user to purchase hardware. NeeCoo Magic card is a Bluetooth dual-SIM card adapter that works with iPhone. It has the ability to sync a Micro SIM to the iDevice. 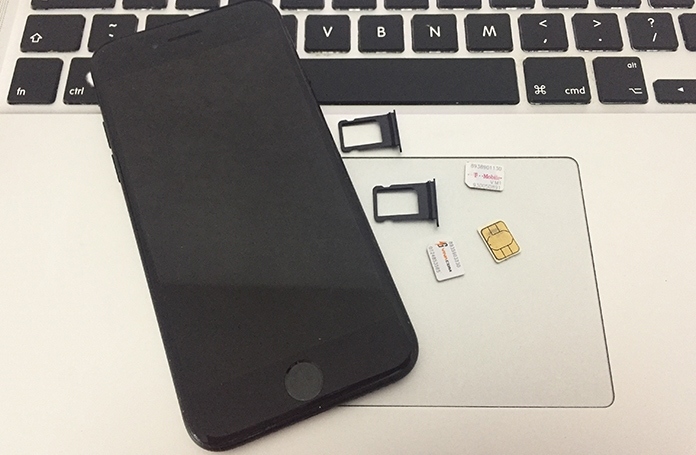 You can take images, message people and call anyone with the second Micro SIM. It connects to the Bluetooth of iPhone from ten meters away. We discuss how to use it with iPhone. But first there are some things you should check to ensure that your iPhone is compatible with this hardware. Bluetooth iOS should be 4.0 or above. Therefore, the NeeCoo Magic Card works with iPhone 4s and above. iOS version should be 7.0 or higher. There should be an active internet connection and App Store access. Only Micro SIM cards are compatible with the hardware. Note: The MoreCard app supports third party apps with Phone No, QQ, Sina Weibo, Wechat, etc. The hardware is 85*54*4mm, so it easily slips into your wallet or pocket as you’re on the go. Its network bands are EGSM900MHZ, PCS1900MHZ, DCS1800MHz and GSM850MHz. That means the user can text, call, take images or access his/her iPhone list. However, data can’t be used. Also, the NeeCoo Magic Card comes with a rechargeable battery, so it is advised to charge it 100% before using it initially. A USB charger is included. The 380 mAh batter offers 80 hours standby, and 3 hours talktime. For using second SIM on iPhone courtesy of NeeCoo Magic Card, the MoreCard app first needs to be downloaded from the App Store. It can be done free of cost. Once done, tap “Allow” to let the app access Bluetooth, microphone, contacts, and notifications. Now switch on iPhone Bluetooth by going to iPhone Settings and tapping Bluetooth. Before switching on NeeCoo Magic Card service, put a Micro SIM inside the card slot as shown. Long-press the button beside the Micro SIM card slot to switch on the device. Green and red LED lights should appear on the side of the device flash. That indicates it is ready for pairing with the iPhone’s Bluetooth. Launch MoreCard app on your iPhone. Go to Settings and tap Device. This should begin an automatic search for the Binding device. You should see a name Neecoo_Me2_34CO. Tap device name, and then enter 0000 when you’re prompted for a password. Now MoreCard Settings should open. If the SIM card is registered to the network, a green LED light should flash gradually on the device, and the carrier’s name should appear at the screen’s top. 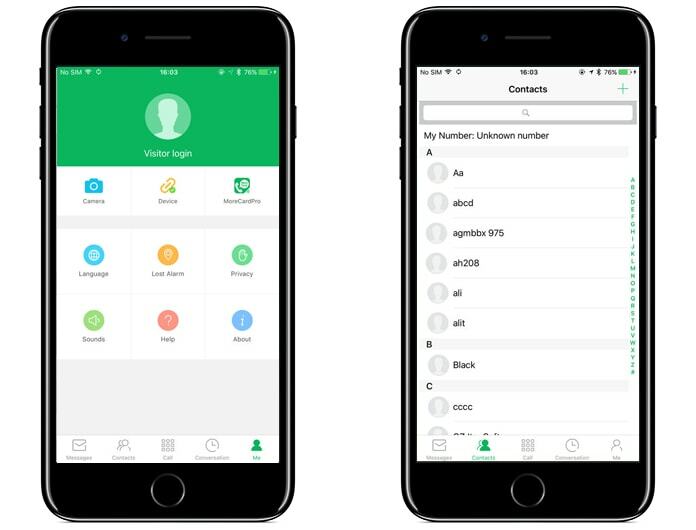 Now, the second SIM can be used to take images, send messages, and make calls, with the user being able to access his/her iPhone contacts. Remember, the device can be unbundled from the hardware at any time. What If the Connection Doesn’t Work? 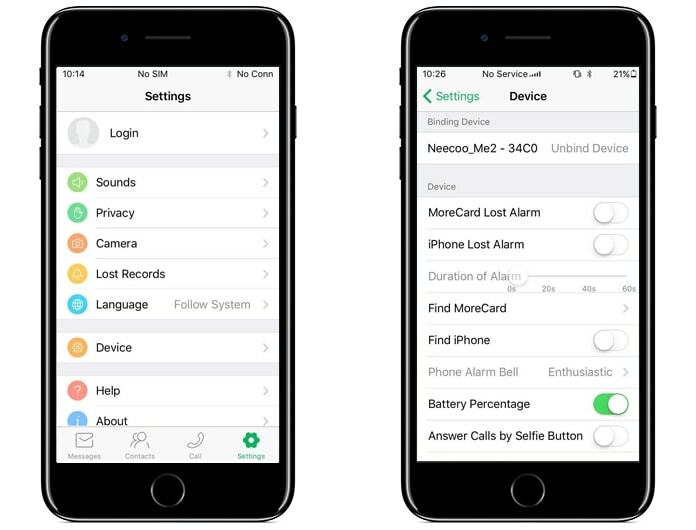 If the NeeCoo Magic Card fails to auto connect to the user’s iPhone, close the MoreCard app and launch it again. Also, ensure that your iPhone’s Bluetooth is activated. If it is the SIM that failed network registration the green LED light should rapidly flash on the device and the name of the carrier won’t display on the screen of your iPhone. Detach and re-insert the Micro SIM card into the device and switch the device first off and then on to retry. We hope you’re able to use a second SIM after following these steps. Feel free to leave comments.